“Here at SFTHH we try not to support one rescue or another so as not to have any hard feelings but this one is close to home and up until recently I sat on the Board of Directors for years. Jerry Finch, founder and president of Habitat for Horses, has been saving horses for decades and is one of the finest folks you would ever be lucky enough to meet. This story is just one example of the great work that Jerry and HfH volunteers do; Hats off to HfH.” ~ R.T.
JAMAICA BEACH – Galveston police on Wednesday seized more than two dozen horses found in poor condition and being held in a large pen used by a riding business. Terri Glenn, 45, of Galveston, was charged with cruelty to livestock animals, a misdemeanor, and was being held in the Galveston County Jail on $7,500 bond, according to jail records. 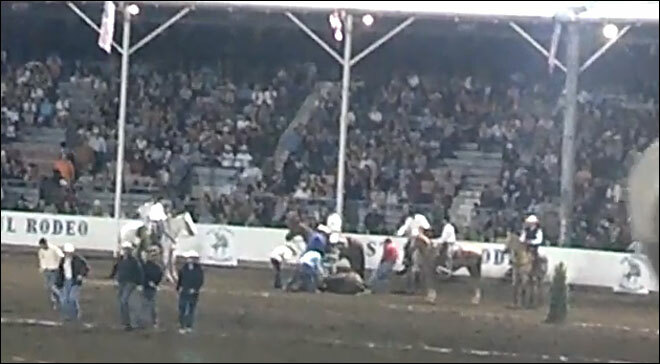 Glenn is the owner of S-n-G Horseback Riding, according to the business’ website. Law-enforcement officers and workers with the rescue group Habitat for Horses arrived at the property in the 17300 block of FM 3005 in a caravan of police cars and four livestock trailers to load 27 horses. The animals, many of which were showing ribs and losing tufts of hair, appeared to be malnourished, officials said. 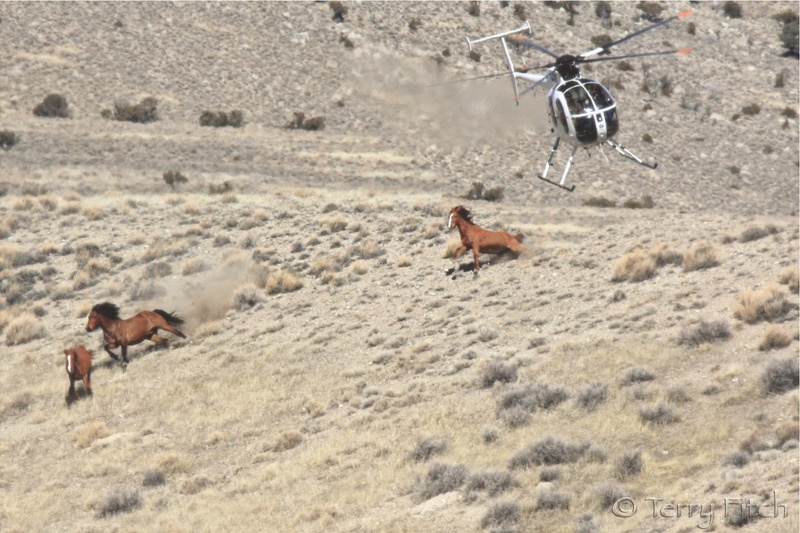 Because three horses were in serious condition, police seized the entire group, Caldwell said. 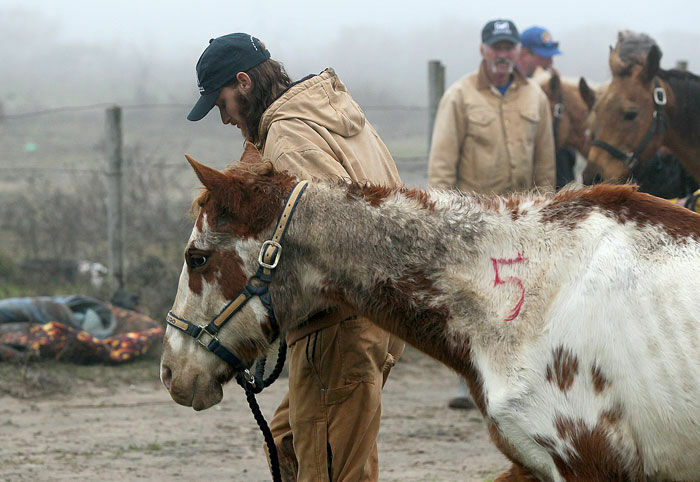 The horses will be taken to Habitat for Horses’ facilities to be examined and receive medical care, food and water. Police and veterinarians will conduct further investigations to decide whether any additional charges will be filed, Caldwell said. 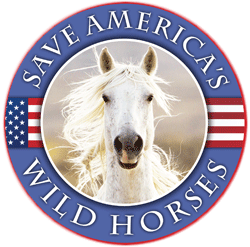 Jerry Finch, president of Hitchcock-based Habitat for Horses, said the main goal will be to rehydrate and feed the animals on a diet of high-quality coastal hay. Why Why Why, do these evil people let this happen, all they have to do is ask for help, Thank You HFH I have already sent a donation there,,,,,,, Please all here do the same doesnt matter what amount , it all adds up , Please again send what ever you can to HFH……….. JF will use it very wisely to save these innocent horses, This is so pitiful could have been avoided, when help is needed just ask !!!!! !!!!! I just hate seeing this…sending funds to HFH. Is there an advocate in Galveston? Animal abuse is now a felony tracked by the FBI alike pedofiles, has someone in the area or state inquired with the local authorities to contact the FBI? Probably for the new legislation to become enforced, animal rights activists are gonna have to push it …what do you think, RT?